Thomas Nelson’s Financial Aid Office is committed to working with students to provide financial aid that will cover the cost of tuition and expenses from a variety of sources. Financial packages can include support from military benefits, scholarships, grants, work study, and private and government subsidized loans. 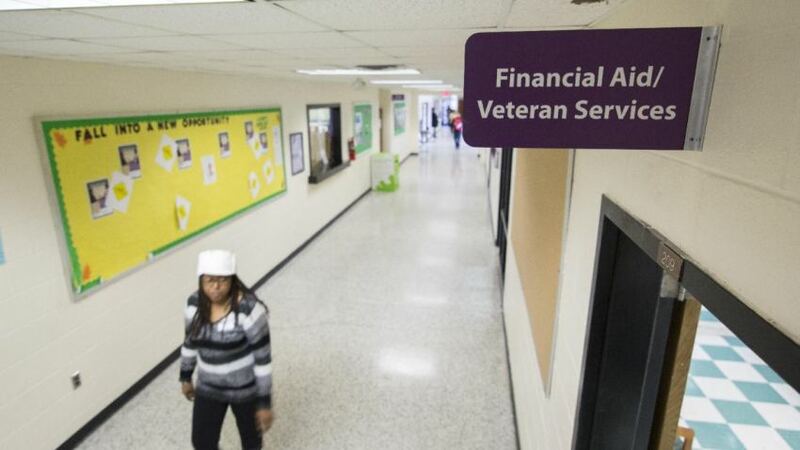 The mission of the Financial Aid office is to provide accurate information and efficient access to financial aid, scholarships and veteran’s benefits for which students qualify in order to help pay reasonable costs in compliance with regulatory requirements. Additionally the mission includes required reporting to institutional, state and federal agencies and participation in appropriate professional associations. Money management tools students love and schools trust. iGrad offers a fun and interactive experience that helps students sharpen their knowledge about paying off loans, affording a home, paying credit card bills, investing, and budgeting. Get started with iGrad. Students using the Bookstore to purchase their books and supplies will need to complete the bookstore authorization form each semester. Additionally, if you are currently enrolled and on financial aid probation or on an academic plan, your fall grades will need to be reviewed before we are able to release your funds to the Bookstore. The VCCS (Virginia Community College System) Bookstore policy states: Students using financial aid in the College Bookstore may purchase only required books and supplies that correlate with registered, eligible courses for the term. Items not approved for purchase with financial aid include but are not limited to apparel, food, cell phones, gift items, and gift/prepaid cards. Colleges have the discretion to establish policies and procedures pertaining to the purchase of course related electronics (e.g., laptops, tablets, cameras, and scientific calculators), uniforms, and tools. Policies and procedures pertaining to course related electronics, uniforms, and tools must address the types and frequency of items students may purchase. During the book purchase period, books and supplies purchased using financial aid cannot be returned to the College Bookstore for cash. Amounts for returned items must be credited back to the aid items that paid for the books and supplies on the student’s account. Option 1: Beginning Friday, December 21, 2018, you may order your books and supplies online through the Thomas Nelson Bookstore. Go to TNCCShop.com for the Hampton campus. Go to TNCCHTShop.com for the Historic Triangle campus. The Hampton Bookstore carries textbooks for all campuses (Hampton, Historic Triangle, Southeast Higher Education Center, and Distance). The Historic Triangle (HT) Bookstore only stocks the textbooks for the HT campus. You will need your student ID number to place the order. When ordering online you have the option to have your order shipped to your home or be picked-up at the Bookstore. A shipping charge up to $5.50 will be deducted from your financial aid. Allow three (3) business days for processing online orders. You will receive an e-mail when your order is ready. Please print your confirmation page when picking up orders. Along with a pictured ID, you will need your order number. The pick-up option will remain open until storage space is no longer available. All bookstore charges for 16W, 12W, 8W1, 8W2, 5W1, 5W2, 5W3, and Dynamic sessions must occur during the charge dates listed above. These dates are the only times that students may charge books with financial aid, regardless of when their classes begin. The ability to rent your textbooks is available online and in the store. You may save up to 50% by renting selected textbooks. You will need to have a valid credit card to insure the textbook is returned in good condition. The credit card will only be charged if the book(s) is not returned or is damaged. Please register at www.efollett.com. Not all textbooks are eligible for rent.